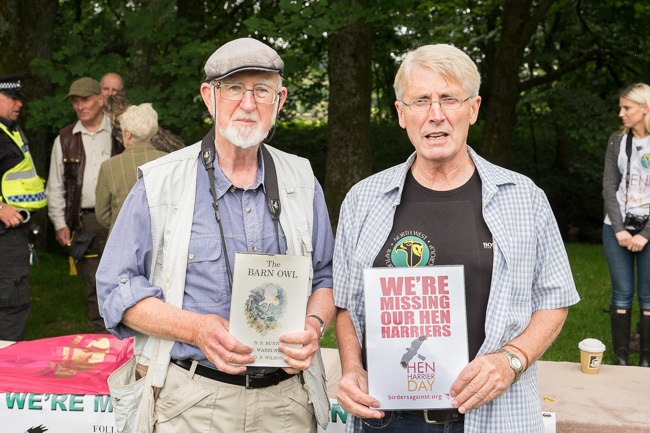 Terry Pickford is to be congratulated for organising a second Hen Harrier Protest this year in the Forest of Bowland supported by other members of the North West Raptor Group. 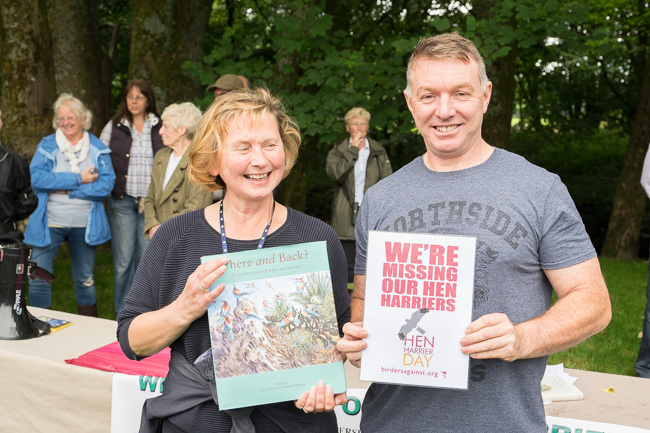 Terry said ‘ the Hen Harrier protest day was inspiring, the better weather helped enormously this year. 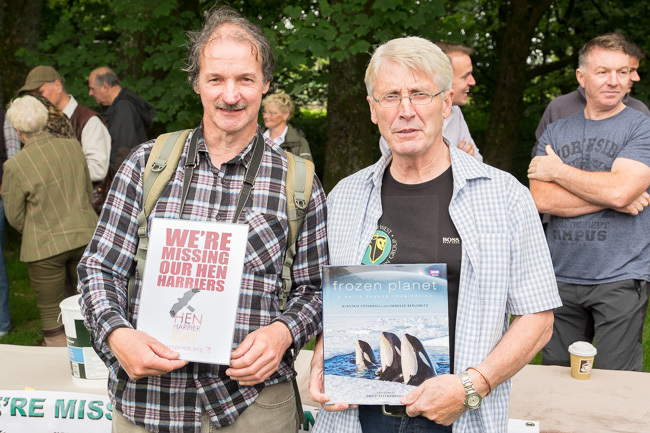 Of the 90 or so people who came to support us at Dunsop Bridge this year I got the impression the mood was most definitely changing for more radical action in the future to get our message across. Overall there was no doubt the day went much better than anyone could have expected. 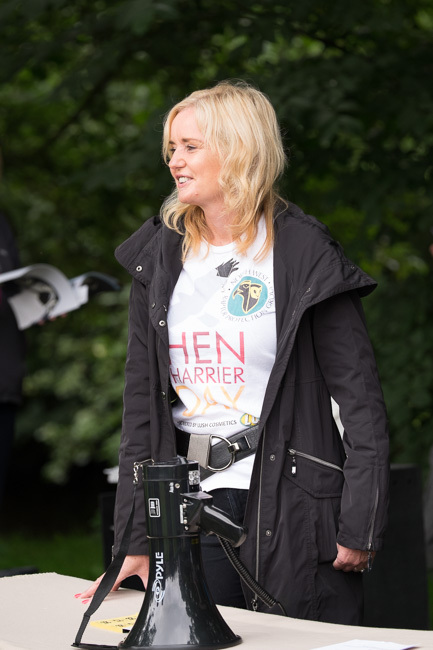 All our supporters said they would be back next year bringing more of their friends to promote our united Hen Harrier cause. 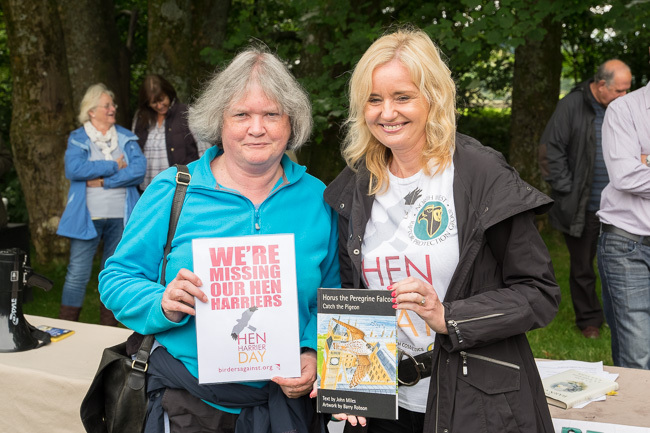 Everyone at yesterday’s protest were angry and concerned at the disappearance of the 5 male hen harriers, and what methods estate gamekeepers are adopting to disrupt ground nesting raptors from settling to breed on the grouse moors. 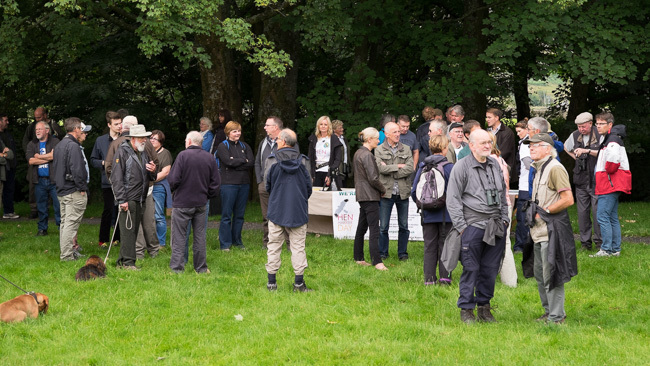 During the afternoon around 50 people joined Terry Pickford for a memorial walk along the Dunsop Valley where they really bonded but found it hard to accept the disappearances of so many raptors from this moorland region of Lancashire. Terry was asked many times what more can we do to change this appalling situation? One supporter asked everyone present to raise their hands if they would be willing next year to disrupt a grouse shoot, without exception they all raised our hands. 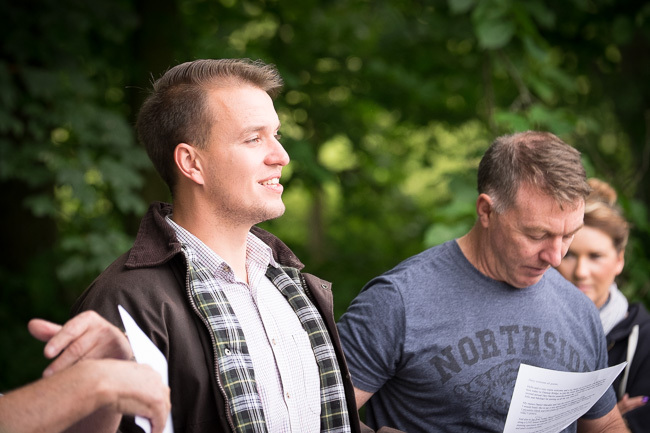 Daniel Marsden the Chairman of the North West Raptor Group began the day by welcoming and thanking everyone who had travelled to Dunsop Bridge to join the North West Raptor Group in the heart of the Forest of Bowland to protest at the disappearance of so many Hen Harriers. Daniel gave particular thanks to Julie and Michael Wright who had travelled that morning all the way from Kent leaving at 3am to join the Forest of Bowland Protest throughout the whole day at Dunsop Bridge. 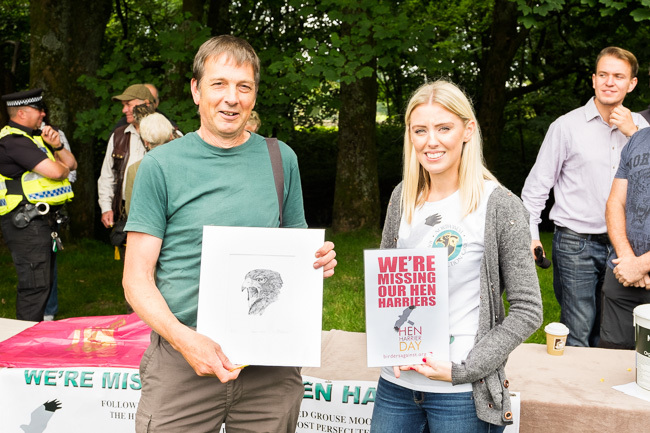 This just goes to show the level of commitment people are now demonstrating in support of our Hen Harriers, or what’s left of them. 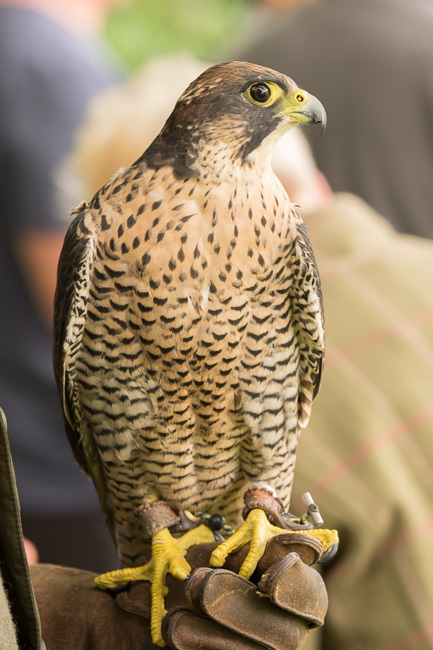 Thanks were given for the support the Hen Harrier received on Sunday from the Turbary Woods Bird of Prey Sanctuary who brought two ‘LIVE’ peregrine falcons. 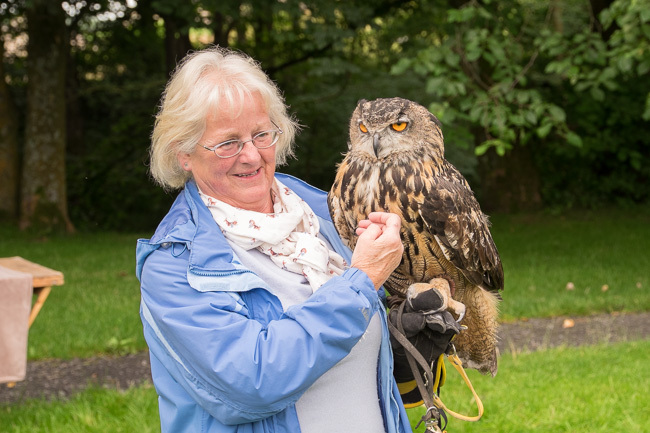 Daniel also thanked Margaret and Michael from Lancashire Hawk and Owls for bringing along a LIVE European Eagle Owl. 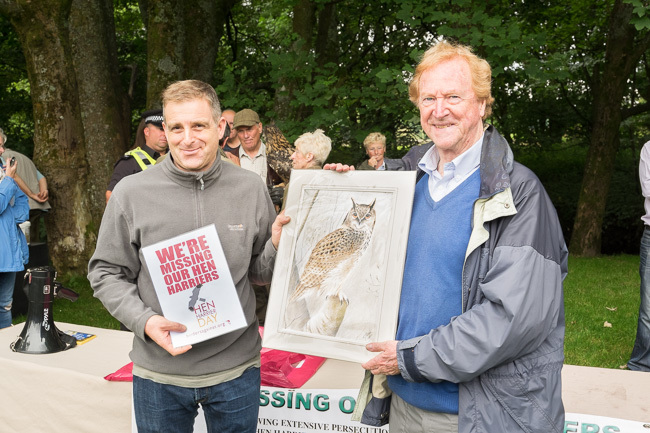 The Peregrines and Eagle Owl serving as a critical reminder of two additional species of raptors that have all but disappeared from the Forest of Bowland because of persecution. 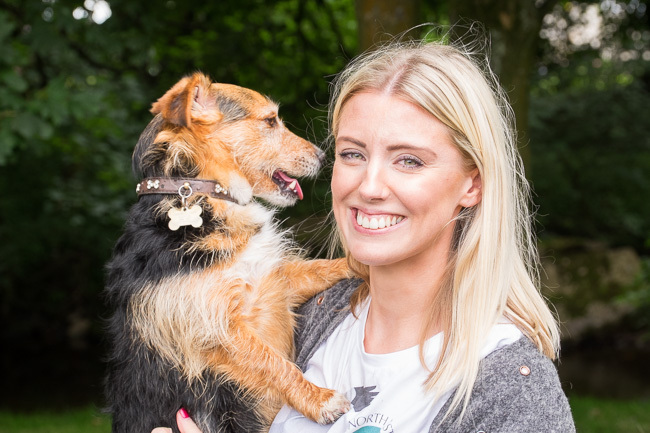 Thanks were also given for the organisation help provided by Terry Pickford’s wife Sharon, daughter Jessica and her fiance Anthony, sorry almost forgot Midge. 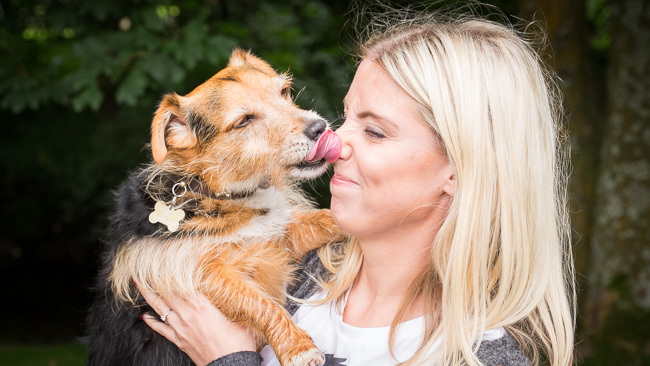 Midge kissing Jessica thanking her for bringing him along to support this important event for a second year. Support and protection received from the Lancashire Constabulary. 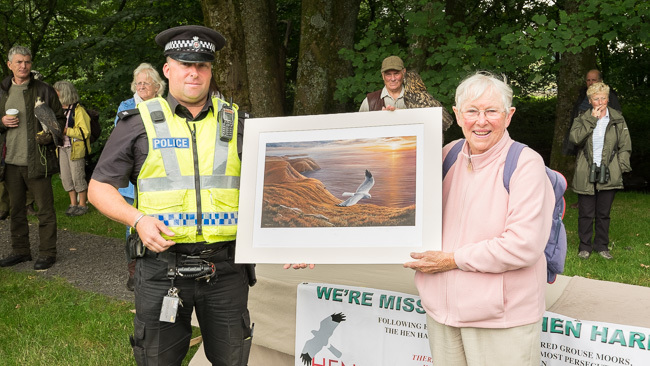 We received tremendous cooperation and support from the Lancashire Constabulary; one of the two officers present during the morning, PC Carl Chew, accepted Terry’s request to present the top raffle prize, a large print of a Hen Harrier kindly donated by Jeremy Paul a well known wildlife artist from the Isle of Man. Overall there was no doubt the day went much better than anyone could have expected. 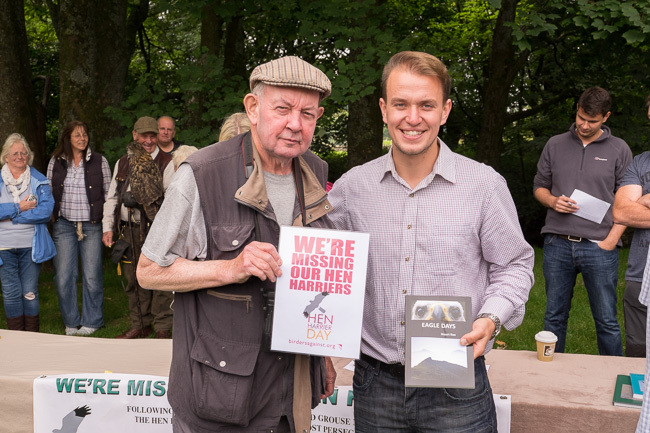 At this point Daniel Marsden handed over to Terry Pickford who provided a brief summary of the disappearances of Hen Harrier from the Forest of Bowland and Geltsdale in the Pennines during the last two breeding seasons. 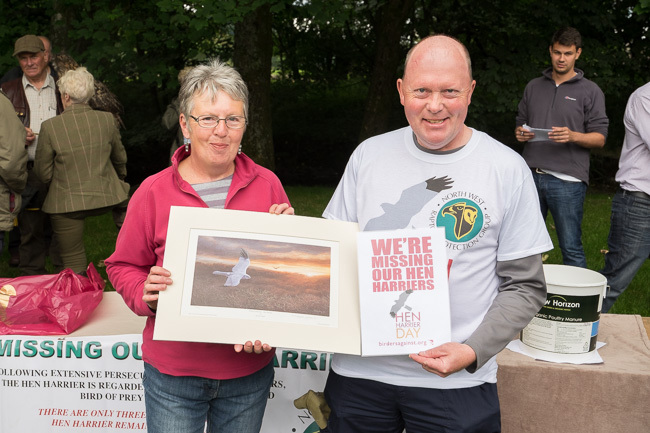 Terry reminded everyone present of the loss last year of ‘Sky’ and ‘Hope’ the two fledged Hen Harriers that disappeared in September just 3 miles from their natal nesting territories on two separate adjoining grouse moors. It was pointed out by Terry that despite an exhaustive search by RSPB staff of both areas where the satellite tags fitted to each of the birds had stopped working, no signs of either harrier or their satellite tags were ever recovered. According to Terry Pickford the audience was told this was a critically important clue as to what really happened to both ‘Sky’ and ‘Hope’, both birds in Terry’s opinion had been shot and their tags then destroyed to conceal what had taken place; there could be no other rational explanation Terry pointed out. According to Natural England the season had been a good breeding year for Hen Harrier in northern England. There had been twelve nests recorded this season, of which six nests had produced eighteen fledged chicks. Another six nests had failed, 3 nest in the Forest of Bowland and a fourth on the RSPB’s Geltsdale Nature Reserve in the northern Pennines together with 2 additional nest failures elsewhere, resulting in a 50% failure. 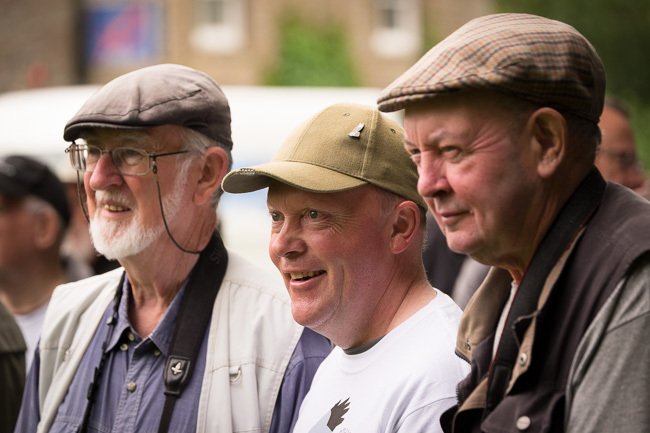 Terry made the point that a new strategy was now being implemented on grouse moors in both the Forest of Bowland and in the northern Pennines to safely kill Hen Harriers away from their nests thus avoiding any possibility of anyone being caught for these criminal acts. 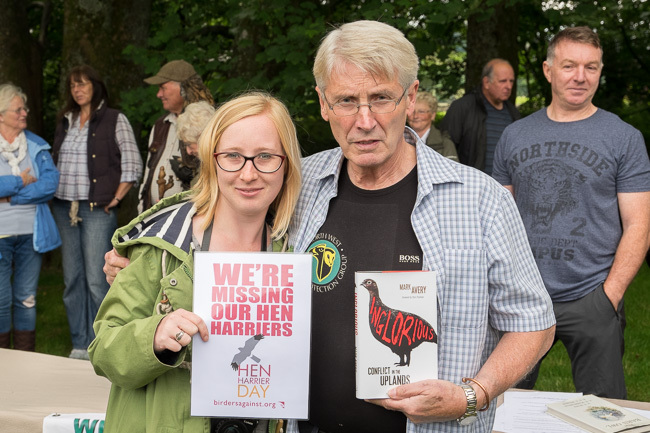 Although this methodology had been first used last year when ‘Sky’ and ‘Hope’ had vanished,Terry said “the same strategy had been used again this season resulting in the loss of 5 male Hen Harriers.” The news for Hen Harrier in the Forest of Bowland this year had been a total disaster in Terry’s opinion, with 3 of the 4 nests each failing following the loss of the 4 male Hen Harriers and the destruction of at least twenty eggs that went cold. The single nest which survived this season successfully fledged 4 chicks, but curiously and disappointingly, only one of the chicks was fitted with a satellite tag. Terry Pickford made the point that this year had been the worst breeding season in the Forest of Bowland in his opinion since 1975, with only a single productive Peregrine nest. In 2009 when the North West Raptor Group had examined eighteen territories, eleven nests had been successful producing twenty nine fledged chicks. 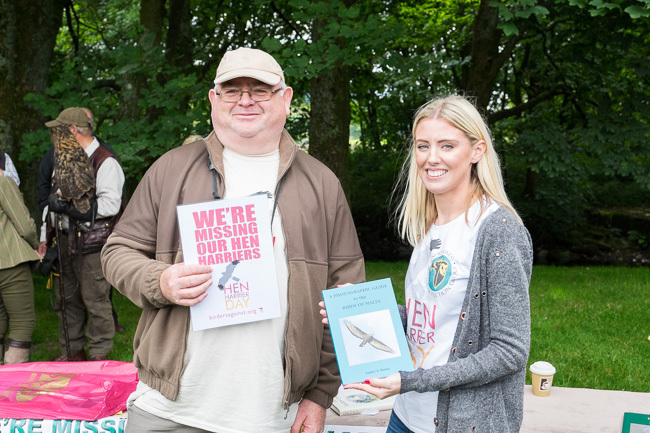 This season Terry went on to explain only a single successful Peregrine nest remained throughout the whole of the Forest of Bowland, these losses were not a result of poor weather or from a lack of food as suggested by one organisation. At this point the proceedings were suspended for 30 minutes allowing people to visit the cafe or the toilets before setting off on the Hen Harrier Memorial walk up the Dunsop Valley with Terry Pickford leading the remaining forty or so followers. During the walk that followed Terry took the time to explain that once upon a time Hen Harriers, Peregrines and the Eagle Owl had all nested in the valley but today he was unaware of a single successful nest of any of these species. The day ended under a bright blue sky with the sun shining bring what had been an illuminating and enjoyable day for all to an end. Chris Packham speaking in the Goyt valley, He’s a great speaker – watch this video and you’ll see. Looks great. 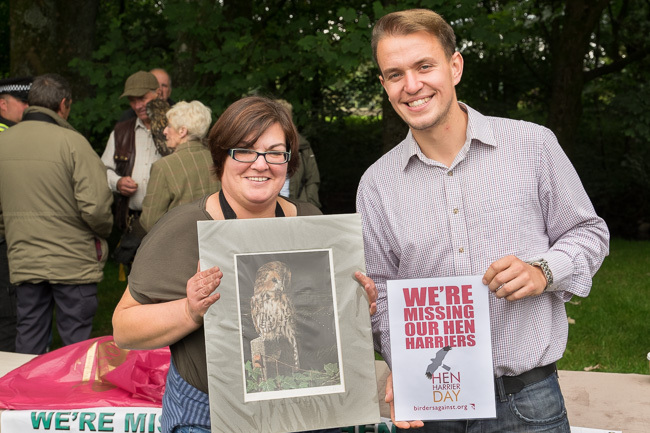 Sad I could not make it but I was up at Mull with Ewan’s Hen Harrier day! Really Great to be a part of this .the overiding feeling is that People will just not Tolerate this Blatant Slaughter anymore,and THE TIDE is going to turn on these CRIMINALS.I must personally give a Thanks to the Dedication of Terry Pickford and the North West Raptor Group and their helpers for all those Years of struggle up there on those hills .You really are Inspirational to myself and many many others.Regards and Thank You.Brian Leecy ,p’s see you on the next one. I would just like to take this opportunity to say a big thank you once again to everyone who attended on the day. 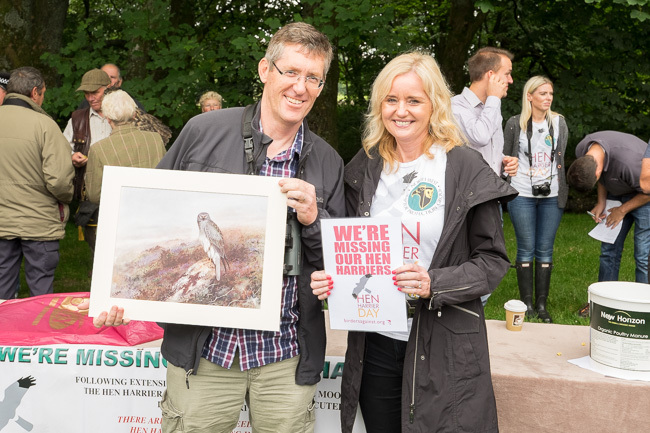 It is with the support of everyone who attended that the hope of change and a brighter future for the Hen Harrier and other moorland raptors exist. Our aim now is to bring this to a bigger audience each year, gaining more and more publicity. 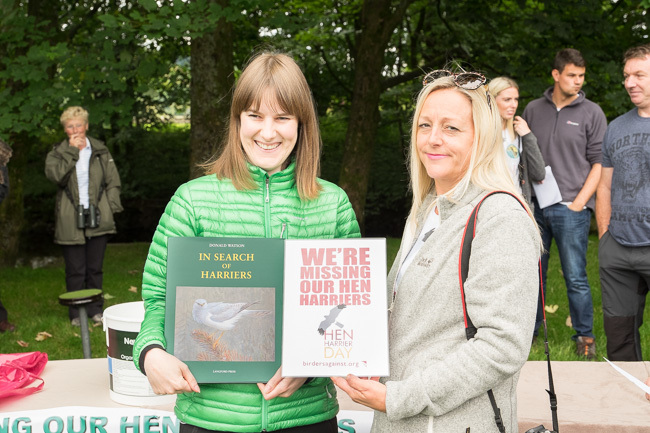 The more numbers who actively support and back this cause the more likely the final goal of changes in the law can be achieved and ultimately a safer and more prospective environment for our beloved Hen Harriers. It really was a pleasure and honour to meet and talk with you all on Sunday and I am looking forward to next year already. 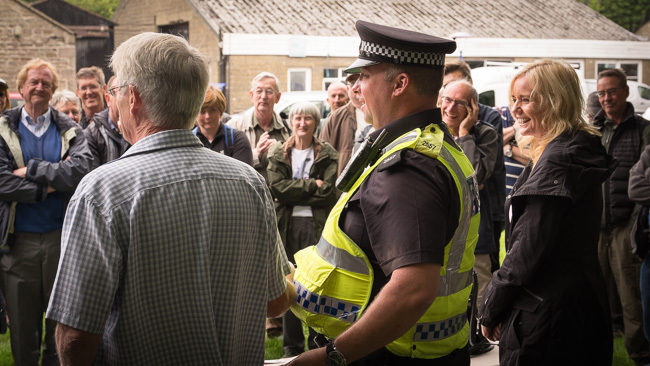 We have already had suggestions raised at Sundays event on how to carry on the momentum gained on the day with plans for a peaceful demonstration upon the very moors that are shot. We welcome this kind of initiative and are looking into how best to implement it with the best effect. If you attended one of the 7 events on Sunday and have any feedback or input on how we could improve or expand the day then, please don’t hesitate to get in touch. You can use the ‘contact us’ form on here and although the site isn’t run by the North West Raptor Proetection Group, the details will be made available to us. Thanks to all who organised this event and those who turned up. We support further peaceful action on the shooting grounds and would hope to take part. But I have been dismayed to find this article referencing the Bowland harriers, which has so twisted the truth. Can those of you who have accurate facts please contact this online news supplier and put them straight, please? This biased reporting should not go unchallenged and I don’t have the expertise. 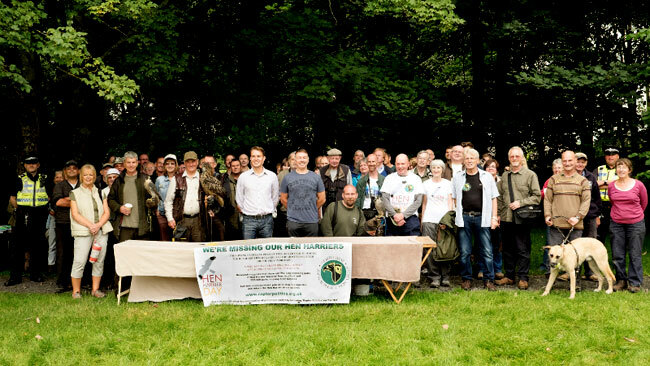 A big well done to the organisers & the attendees in Bowland & at the other HH events around Britain.